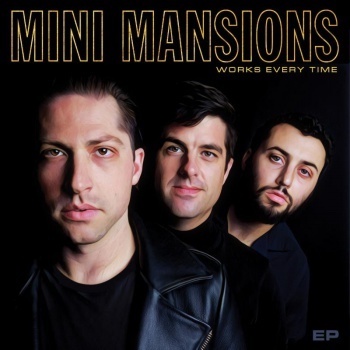 Mini Mansions announce new song 'Works Every Time'. After confusingly teasing the phrase "works every time" in various social posts over the last few weeks, it now appears that might be the title of new Mini Mansions music, as the band have announced that BBC Radio 1 will be premiering a new song today. MusicMini Mansions - 'Double Visions' music video. MusicFact: Lana Del Rey, Miles Kane & Zach Dawes had their own band from December-March. MusicMini Mansions - 'The End, Again' music video. DiaryMini Mansions - 2018 USA photo diary. MusicWe heart: Mini Mansions made a wine. It’s called 'The Grape Pretenders'. MusicInterview: Mini Mansions’ Michael Shuman on new album 'The Great Pretenders'. MusicMust-watch: Mini Mansions - 'Any Emotions' music video [feat. Colin Hanks].